The man portrayed in the above image is a famous mathematician Ramanujan Srinivasan.The speciality of this is it is completely organised using dices. You can find his at the Bengaluru airport in India. 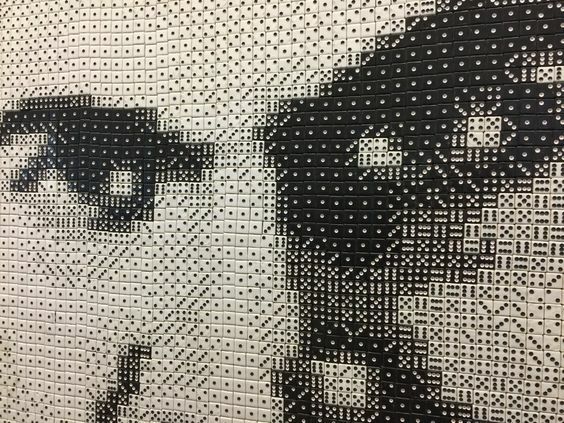 Shown below is famous portrait made out of dice by his friends in the memory of Tobias Wong, Designer. 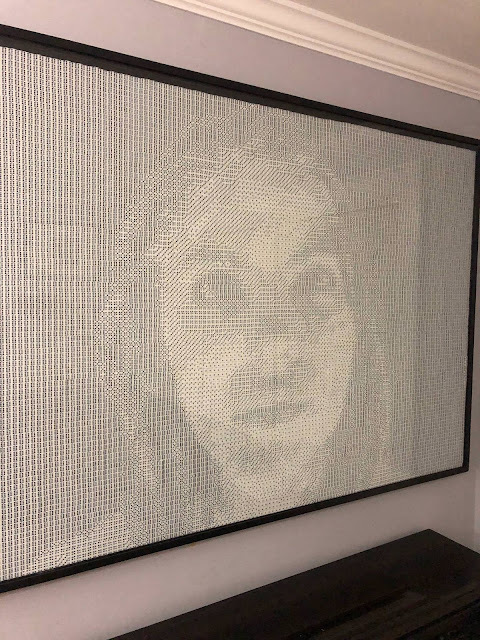 If you would like to decor your home with this idea or present someone a massive unique piece of portrait using dices, keep reading. 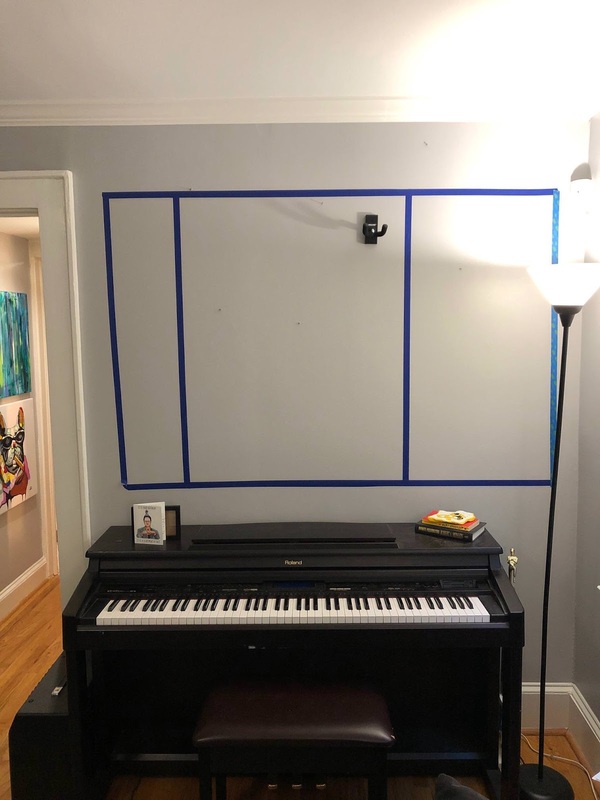 Obviously the first step is to mark the area and size of the portrait you want to create. 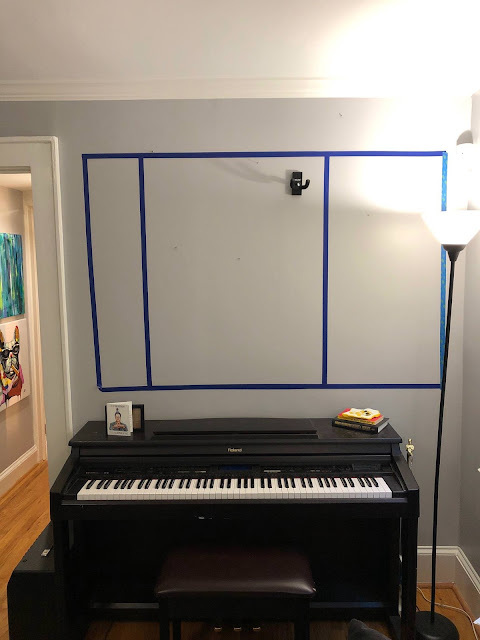 Take proper measurements and get ready. 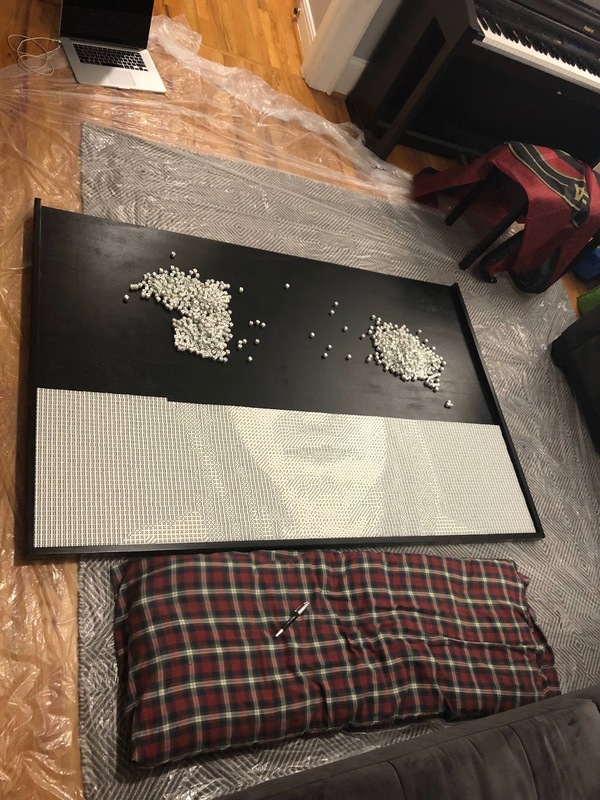 Prpeare the base for arranging the dice. 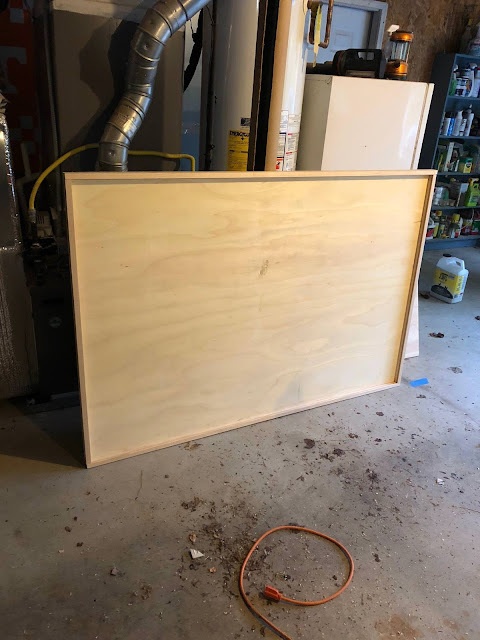 In this case we have taken a wooden board of size 66'x44'.The edges of the frame have dados cut in them to slide a piece of glass in and out of the frame. Herea a closeup look of how the trench is carved out in the board.The dice size used are 1/2" dice. 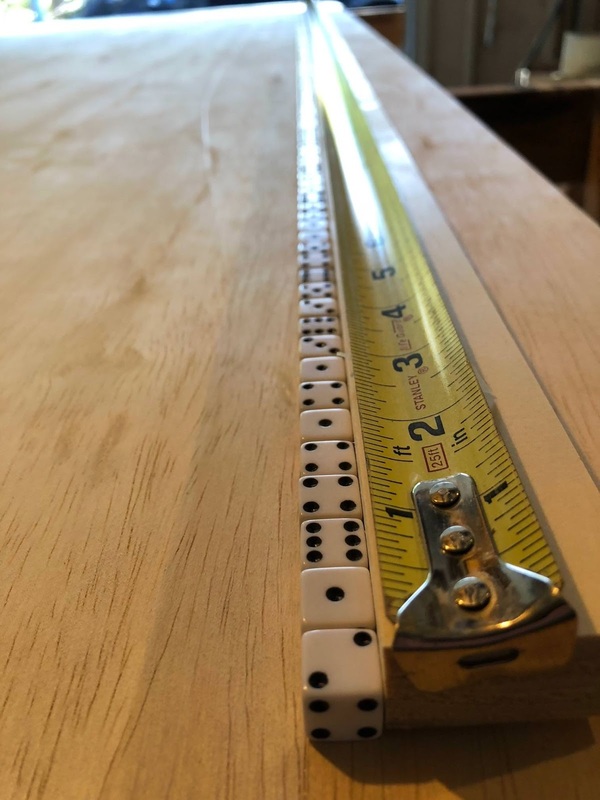 Also listed as 12mm.So make sure to calculate the size of wooden frame and the number of dices you would need to fit in to avoid inconsistencies during arrangement. 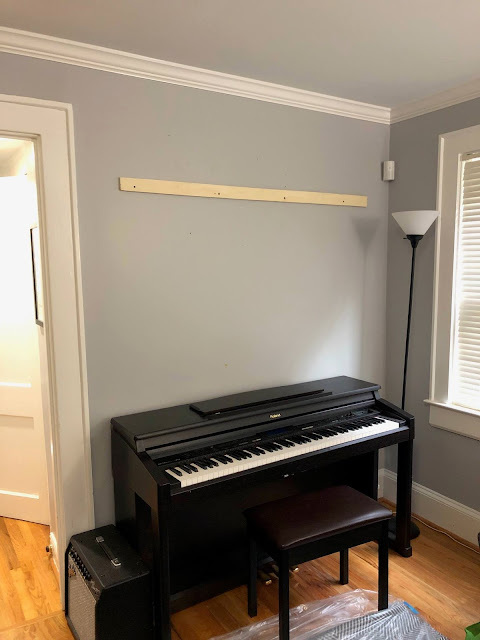 The whole project is hung on a French Cleat cut from some of the scrap 1/2" plywood. 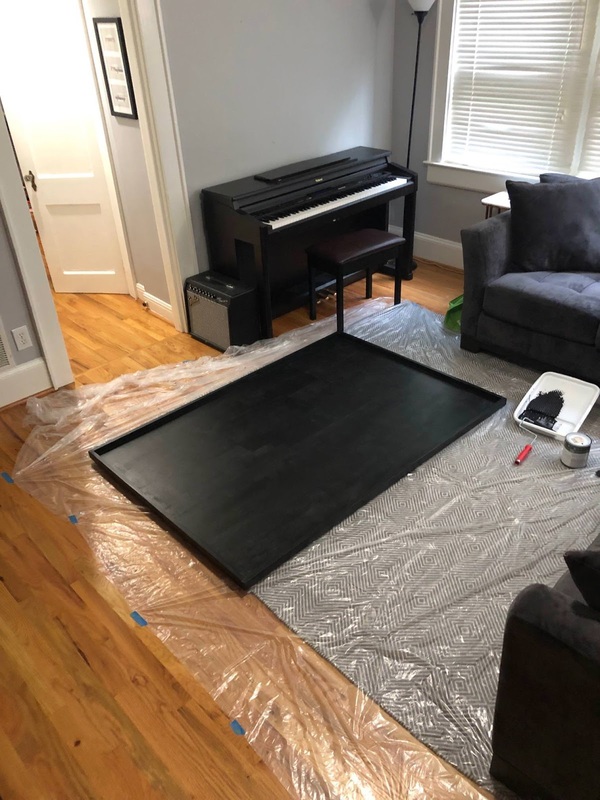 Couple of coats of black paint for nice contrast. And then goes the creative part of arranging it .